The Chernigov-Gethsemane Icon of the Mother of God is a copy of the famed Ilyin-Chernigov Icon of the Mother of God (April 16), which was to be found at the Trinity-Ilyin monastery near Chernigov on Mount Boldina, and where in the eleventh century Saint Anthony of the Kiev Caves struggled in asceticism. Saint Demetrius of Rostov described the miracles of this icon in his book THE BEDEWED FLEECE. He wrote in conclusion: “The end of the booklet, but not of the miracles of the Most Holy Theotokos, for who can count them?” The grace-bearing power of this icon is manifest also in its copies. On the advice of the head of the Lavra, Archimandrite Anthony (+ May 1, 1877), the icon was placed in the newly-consecrated cave church named for Saint Michael, Leader of the Heavenly Hosts, which was consecrated on October 27, 1851 by Saint Philaret, Metropolitan of Moscow (November 19), who assumed an active role in the building of the Gethsemane skete. In this manner, the icon took in the currents of grace of all the history of the Russian Church, it acquired the blessing of Saint Anthony of the Caves, of Saint Sergius of Radonezh and of his parents Saints Cyril and Maria (September 28), and finally, of the ascetics of the nineteenth century. These spiritual connections providentially come forth through the Chernigov-Gethsemane Icon of the Mother of God. It is remarkable that the first miracle of this icon was witnessed on the day of the Church New Year, September 1, 1869, when the twenty-eight-year-old peasant of Tula governance, Thekla Adrianova, was healed, after being completely crippled for nine years. Living at the hostel by the caves, and then at the Lavra during the celebration of the Repose of Saint Sergius (September 25), Thekla recovered completely. Saint Innocent the Metropolitan of Moscow (October 6 and March 31), learned of the miracle from his daughter the nun Polyxeni, treasurer of the Borisov wilderness monastery. On the feast of Saint Sergius, he himself met with Thekla and asked her about the details of the healing. On September 26, 1869 Saint Innocent arrived at the Gethsemane skete and gave the blessing for a Molieben to be served before the glorified icon, while he himself prayed with tears. By September 26 three healings had occurred already, and a whole series of miracles in November of that same year. The fame of the icon of the Mother of God spread with unusual swiftness. Exhausted by suffering and sickness, thirsting for bodily and spiritual healing, people from every class of society came with firm faith to the wonderworking icon, and the mercy of God did not forsake them. By the beginning of the twentieth century, more than 100 miracles had been recorded. By its great esteem the icon benefited the ascetics of the Gethsemane skete: the schemamonk Philip (+ May 18, 1868), the founder of the cave monastery, and his three sons, the hieroschemamonks Ignatius (+ 1900), Porphyrius (+ 1905 ?) and Basil (+ April 1, 1915). They preserved accounts of the deep love, which the hieromonk Elder Isidore (+ February 3, 1908) displayed for the Chernigov-Gethsemane Icon. The initial celebration of the icon was established on April 16, on the day when Ilyin-Cherigov icon was celebrated. Later, it was transferred to September 1, the day of its glorification. At the present time there are copies of the Chernigov-Gethsemane icon at Trinity-Sergiev Lavra. They are found in the temple of Saint Sergius, in the monastery trapeza, and in the portico of the Trinity cathedral, painted by Elders of the Gethsemane skete and the Zosimov wilderness monastery. Enter Thou, o Lord, into the darkness of my soul and arise Thy dawn within me that alway' may I behold Thee before my face. Third year of posting the Saint or Feast of the Day....Here I Come! St. Paul the Apostle Orthodox Church(OCA)," Home sweet home"
Eastern Christian Blog Awards Winner "Best Church News Blog"
A New Orthodoxy: Is this the Faith of our Fathers? Are all Ecclesiastic Synods Valid/Infallible? Are laypeople permitted to interfere in the matters of the Church? Has the Church ever apostatized? MUST WE OBEY WHEN OUR SPIRITUAL FATHER DOES NOT UPHOLD THE ORTHODOX WAY OF LIFE? On Prayer - Saint Nilus the ascetic. Spiritual Counsels From Elder Cleopas Ilie of Sihastria Monastery. The Wisdom of Elder Porphyrios - In the Church we are all one and Christ is the head. Two miracles proving that the calendar does not save but repentance does. 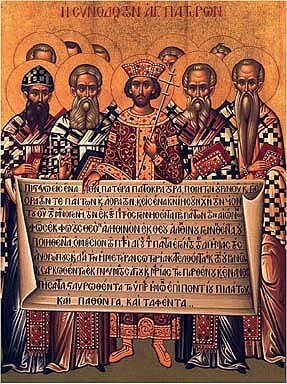 Was the Byzantine State a Theocracy? 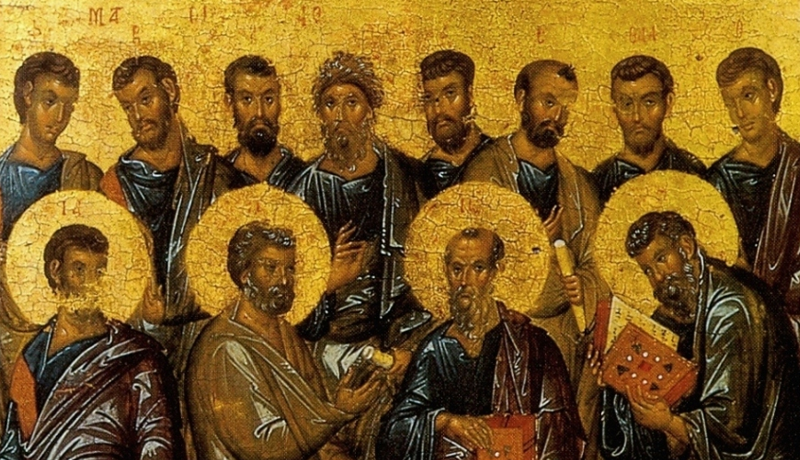 What is the difference between Orthodox and heretic? Episode 1: August 27th, 2009 – "Welcome to Blooming in the Desert"
Lenten Fast Retreat 2010 – Mother Melania-"Spiritual Wholeness: Overcoming the Passions by Strengthening the Virtues"
Episode 11: June 11th, 2010- "Orthodoxy & Ecology"
Kyklos Greek Cafe-"Great food in Las Vegas"
No time to blog - I wont have time to blog till August. Then summer semester will be over. 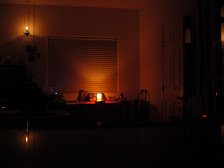 Permanent New Blog - EternalPhiloSophia Update Bookmarks & Links. Post Twenty-Three: "The Works of Archbishop Averky of Blessed Memory-Volume II"
Post Twenty-Seven: " Animals and Man:A State of Blessedness" by Joanne Stefanatos D.V.M. Part II "The Comfort of Food"
Father Seraphim Rose on UFOs in "Orthodoxy and the Religion of the Future"
New World Order/Illuminati/ "Really, though, just the Devil doing his thing"
New World Order Quotations "collection of quotations from elite figures, media heads, government officials, persons from history, authors and more on the subject of the move toward a new world order under a one world government and a reduced human population."